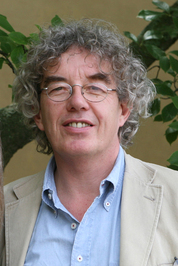 Peter Mair (March 3, 1951 â€“ August 15, 2011) was an Irish political scientist. He was professor of Comparative Politics at the European University Institute in Florence. Peter Mair was born in Rosses Point, county Sligo, Ireland, and studied history and politics at University College Dublin. He continued to work as assistant professor at the University of Limerick, Strathclyde, Manchester and the European University Institute in Florence during the 1980s. In 1987 at Leiden University he gained a doctorate, which as The changing Irish party system became a standard work on the Irish party system. In 1990, he co-authored the book Identity, Competition and Electoral Availability with Stefano Bartolini. It was awarded the ISSC/Unesco Stein Rokkan Prize for Comparative Social Science Research. He continued to work at Leiden University becoming professor of comparative politics in 1994 when he held an inaugural address entitled "Party democracies and their difficulties". In 2001 he became co-editor of the journal West European Politics. In 2005 he returned to the European University Institute to invest time in his research into democracy, indifference and populist parties. He specialized in comparative politics and specifically in the study of parties and party systems. Mair died suddenly while on holiday in Connemara with his family. In the long-established democracies of Western Europe, electoral turnouts are in decline, membership is shrinking in the major parties, and those who remain loyal partisans are sapped of enthusiasm. Peter Mairâ€™s new book weighs the impact of these changes, which together show that, after a century of democratic aspiration, electorates are deserting the political arena. Mair examines the alarming parallel development that has seen Europeâ€™s political elites remodel themselves as a homogeneous professional class, withdrawing into state institutions that offer relative stability in a world of fickle voters. Meanwhile, non-democratic agencies and practices proliferate and gain credibilityâ€”not least among them the European Union itself, an organization contributing to the depoliticization of the member states and one whose notorious â€˜democratic deficitâ€™ reflects the deliberate intentions of its founders. 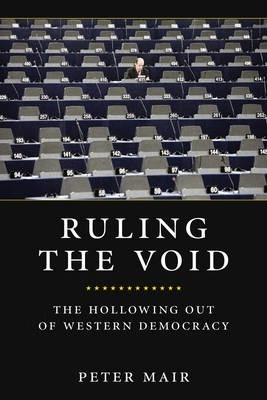 Ruling the Void offers an authoritative and chilling assessment of the prospects for popular political representation today, not only in the varied democracies of Europe but throughout the developed world.